What Do You Think Of The Sporty Kia Stinger In Yellow? This may not be offered on the car, and that could be a good thing. The Kia Stinger is one of our most highly anticipated cars of the year. We can't wait to get behind the wheel of Kia's first true sport sedan, but the only Stingers in the US right now are pre-production models. As it turns out, this hasn't stopped YouTubers TheStraightPipes from getting an up-close tour of the all-new Stinger. 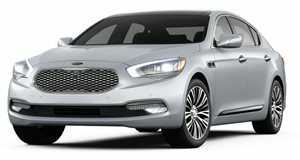 While interviewing Ted Lancaster, Kia’s Canadian vice president, the guys from ask if they can see some pre-production cars. Amazingly, Kia grants their request and they were able to get some nice footage. They didn't get to drive either car, but we do get to see the blue model fire up and listen to it's engine note. We also get to see some of the car's sporty features like adjustable drive modes. The interior seems an extremely nice to be, and the cars look properly aggressive in the metal. We aren't sold on the yellow Stinger, but the blue is gorgeous and looks like the color to have on the sporty Kia. Neither of these cars options or colors have been finalized for production, but this small taste has made us even more excited for the full-production Stinger.